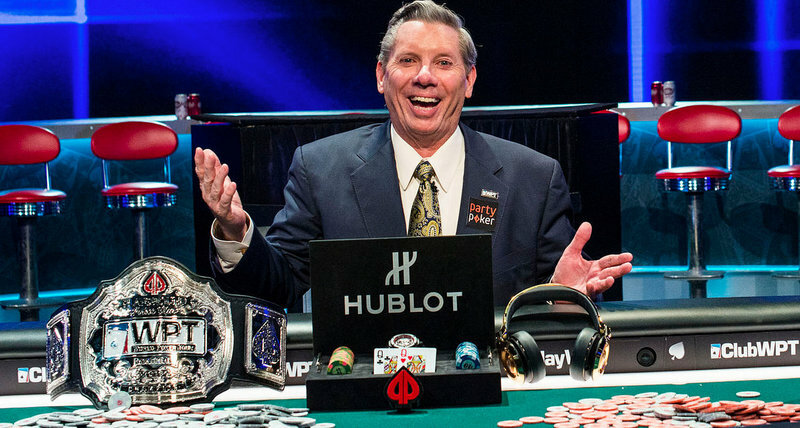 For the first 14 seasons of the World Poker Tour, Mike Sexton watched from the commentary booth as other players won titles. Last November he beat a field of 648 players to claim his first WPT title in Montreal and a prize of $425,980. Sexton was inducted into the Poker Hall of Fame in 2009 and is one of the best-known figures in the poker industry. He’s now made it to the final 13 players chasing a $1,001,110 first prize on Day 5 of the WPT LA Poker Classic. Only a small elite of players have won two WPT titles in the same season and Sexton is in with a good shot at joining them. The final is tomorrow. The current chip leader is Daniel Strelitz; others in contention include Joe Serock, Simeon Naydenov and Polish wunderkind Dzmitry Urbanovich. All remaining players are guaranteed at least $64,130. There were 521 entries creating a $5,001,600 prize pool. After LA, the WPT heads to San Jose for the WPT Bay 101 Shooting Star from March 5-10. Then it’s WPT Rolling Thunder March 11-15 before the Seminole Hard Rock Poker Showdown starting March 31, followed by the Seminole Hard Rock Poker Finale from April 2. Since 2004, the World Pokr Tour has had a late winter swing through the state of California, with the L.A. Poker Classic in Los Angeles followed closely by the Bay 101 Shooting Star in San Jose. When WPT Rolling Thunder was added to the tour in 2014, the WPT formalized this segment of the tour as the “WPT California Swing,” offering a Grand Prize to the player who accumulated the most WPT Cali Swing points during the three California stops.